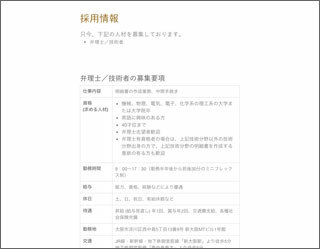 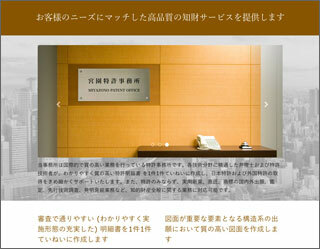 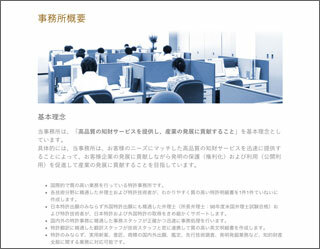 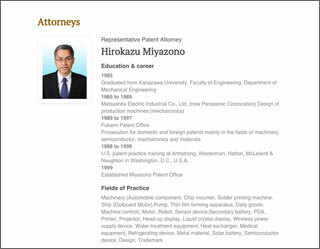 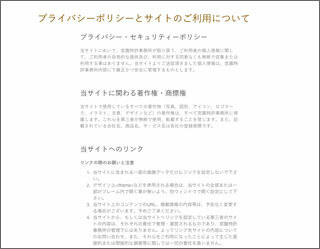 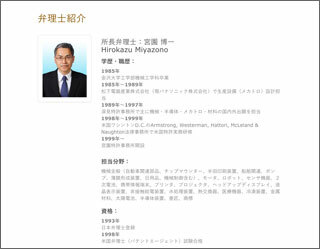 Home page of Miyazono Patent Office Official Website. 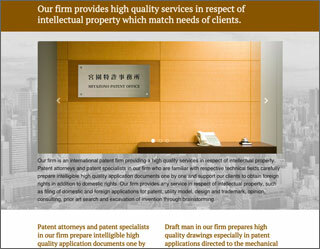 Our firm is an international patent firm providing a high quality services which is located at Shin-Osaka. 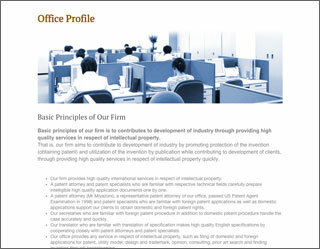 We introduce education, career and field of practice of a representaive attorney and the other attorneys of our firm. 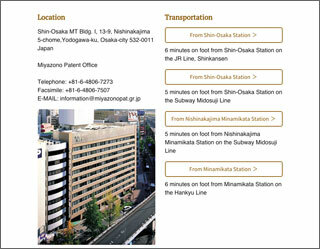 Our office is near Shin-Osaka Station on the JR Line, Shin-Osaka Station on the Subway Midosuji Line, Nishinakajima Minamikata Station on the Subway Midosuji Line, and Minamikata Station on the Hankyu Line. 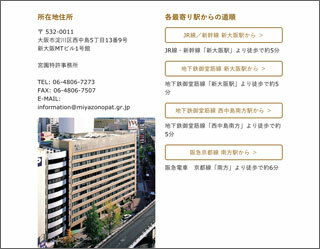 Copyright © Miyazono Patent Office, All Rights Reserved.